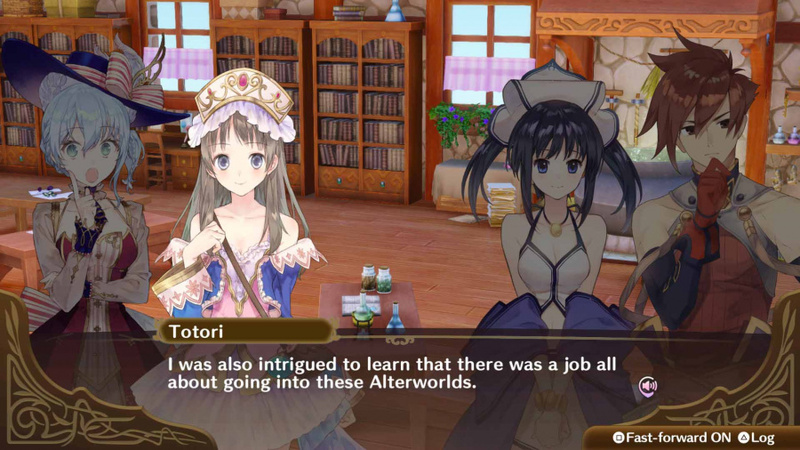 It really is crazy to think that the Atelier series has been going for over twenty years now. The series is well known for being far more about enchanting coming of age stories than trying to defeat the bad guys and save the world. 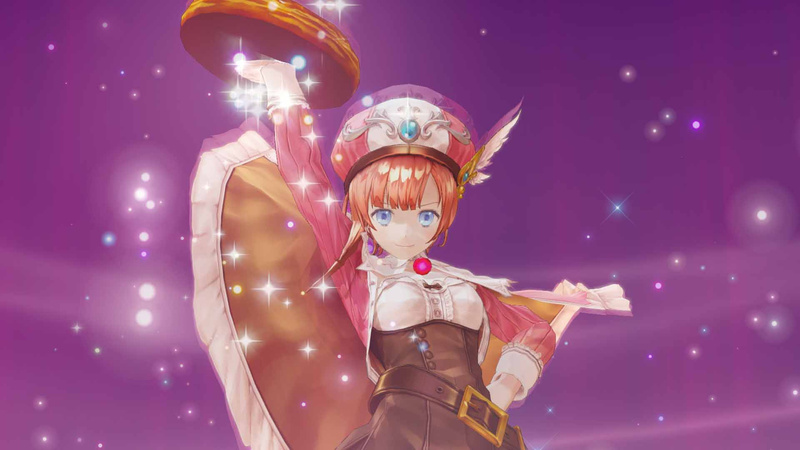 Nelke & the Legendary Alchemist: Ateliers of the New World is a spin-off game that celebrates this wonderfully niche series. 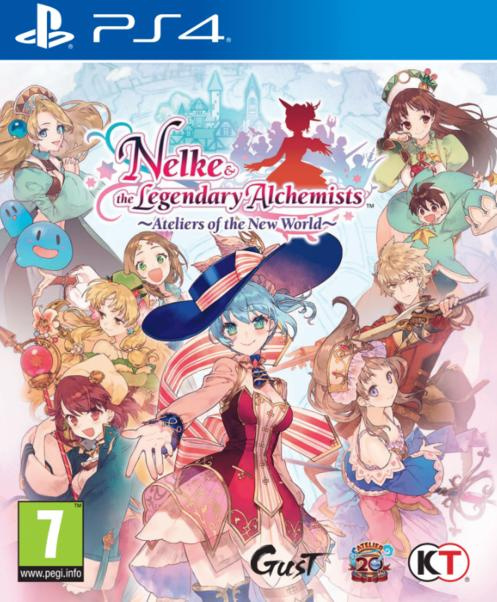 The game’s protagonist, Nelke von Lestamm, is an aristocratic civil servant who’s been sent to the small frontier village of Westbald to try to develop it into a thriving trading hub. What makes this really unique when compared to other Atelier games is that Nelke has absolutely no alchemic ability. This isn’t a normal Atelier RPG where you’ll be spending most of your time brewing potions and crafting equipment. Instead, it’s more of a town-building simulator where you’ll need to focus on managing your resources and trying to expand the town. You won’t be alone in all this, however, as lots of alchemists and supporting characters from all of the previous games have started to appear in Nelke’s world and they’re all more than happy to help out. With over twenty years’ worth of characters to introduce you to it almost feels like the game is one long conveyor belt of familiar faces shown off to you at breakneck speeds. There’s real joy to be had in watching your favourite alchemists interacting with so many different people from all the other games. In terms of gameplay, your time will be split between workdays and holidays. When Nelke is working she’ll be trying to grow the town by managing its whole supply chain system. This starts off reasonably simple but as the town gets larger you’ll have more facilities and people to manage. You’ll need to gather materials by either sending characters out to investigate nearby areas or by growing crops in the fields. 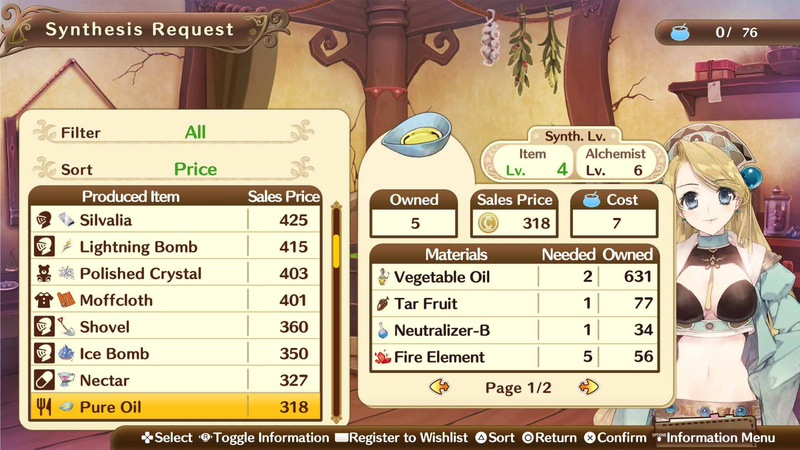 You can then use the alchemists to produce goods and these can then be sold by your stores for a tidy profit. It’s a bit of a balancing act to make sure that you have enough materials and money flowing through all your facilities. However, it’s all too easy to waste time because you’ve accidentally run out of certain materials, and so your shops run out of things to sell or your alchemists can’t make anything. The gameplay loop is really addictive, and after every working period you’ll be given a score card so that you can see how the town is performing. All this information is great in helping you to see what you might need to tweak during the next working period. It’s great to be able to see how your actions during work have managed to increase your popularity as a leader, as well as increasing the size of the town. There are so many different things that you can focus on, and while it can initially seem a bit overwhelming you’ll soon get an eye for what you should be keeping your attention on. 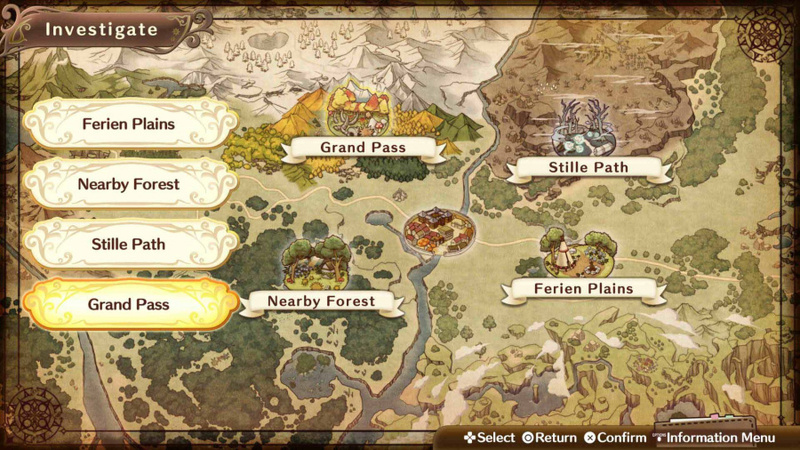 As with a lot of the previous Atelier games, there are also many assignments with impending deadlines. You’ll mostly be tasked with things like increasing your town’s population or earning a certain amount of money. We never found these deadlines too stressful, and instead found that they were a good way of teaching us how to manage the town while encouraging us to try out different things. On Nelke’s days off you can go visit your new friends and get to know everyone a bit better. There are absolutely loads of entertaining little visual novel style skits to view, but you only have a limited amount of time to do so. Every activity uses up a set amount of free time, so if you spend all your time being a social butterfly then you won’t get to explore outside of town. Exploration has been greatly simplified here. You’ll get to decide what area to explore and which characters to bring along with you, but your party will then just automatically walk along in a straight line until you either reach the end of the area or your free time runs out. Every now and then your characters will stop to pick up materials or get into a fight with monsters, but that’s about all there is to it. Ultimately, it feels odd that you aren’t able to walk around and freely explore areas yourself. Combat is also fairly low-key. It’s a turn based battle system where every time you attack you’ll gain a point, these can then be used to activate various skills. It’s not a difficult system to get to grips with and while it is a tad repetitive, most battles are fairly short and snappy, meaning that they thankfully don’t outstay their welcome. One thing that must be said is that this is definitely the best looking Atelier game to date. The 3D character models are all full of life and the 2D artwork and character portraits are beautifully drawn. It’s actually quite impressive how the developer's managed to gather so many visually different characters, taken from such a long running series, and make them all look like they belong in this single title. Thanks for reviewing this so quick.It's definitely a game I was interested in being a huge Atelia fan but was wondering if it would work seeing as it's a townbuilding game which I'm not really familiar with. It's great to see it has a decent score though and can easily say I'll be picking this up at some point now. Unfortunately I still have Atelia Firis and Atelia Lydie to start yet. What's the actual story like?Is there a reason why all the alchemists end up in the same world? @Jenny_Jones Ok cool.So long as the gameplay is great and addictive I guess I won't be too bothered how long it takes for the story or lack of one to get going. Currently playing my second playthrough. Sadly failed task 8 on my first go. Hoping i do better next time.